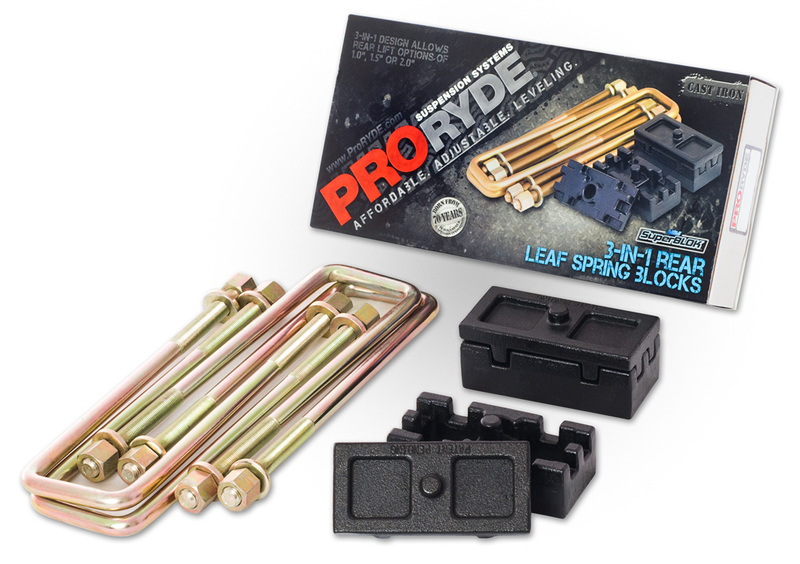 SEMA BEST NEW OFFROAD/4×4 PRODUCT OF THE YEAR-RUNNER UP! 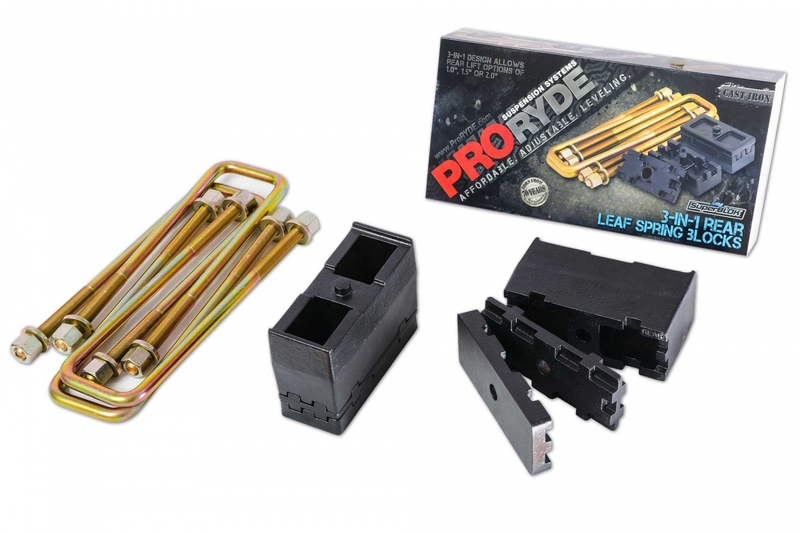 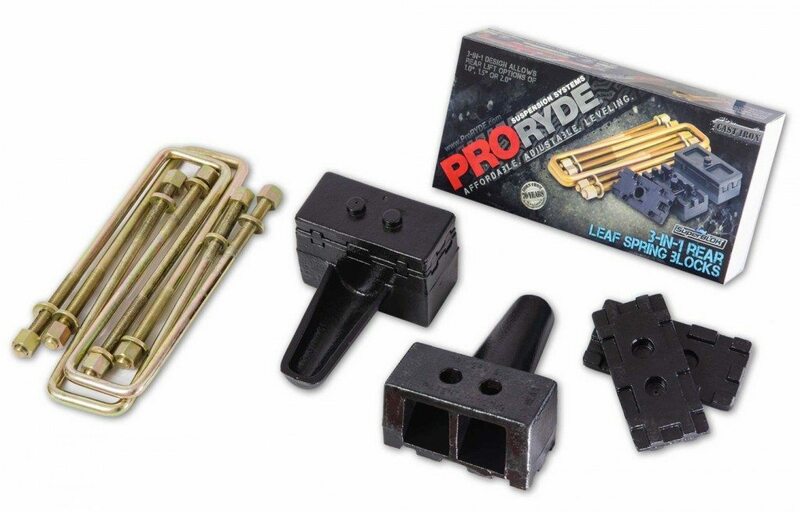 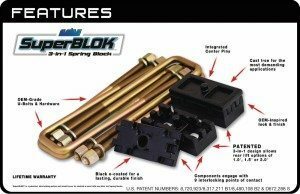 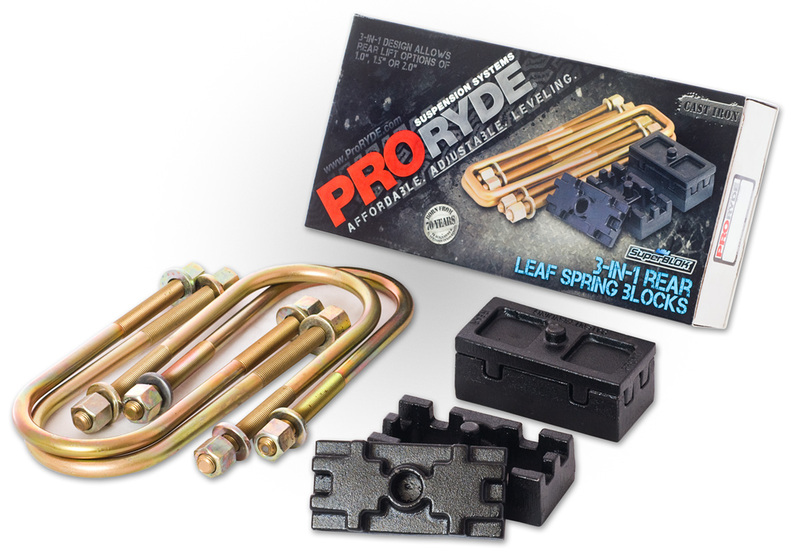 *SuperBLOKTM is a patented, interlocking system and should never be stacked or used with any other leaf spring blocks. 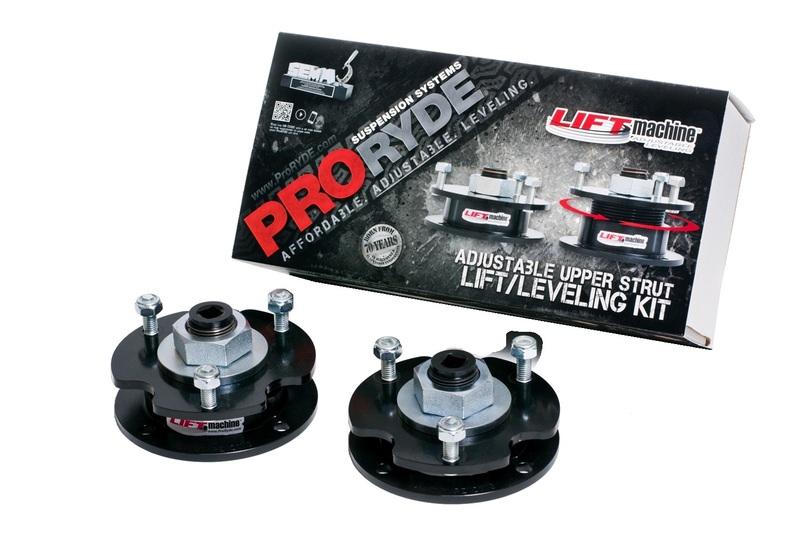 Patented ON-VEHICLE ADJUSTABLE design allows front lift options from 1.5″ to 2.25″, or anywhere in between. 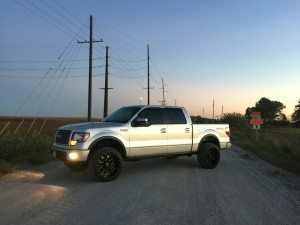 SEMA BEST NEW OFFROAD/4×4 PRODUCT OF THE YEAR! 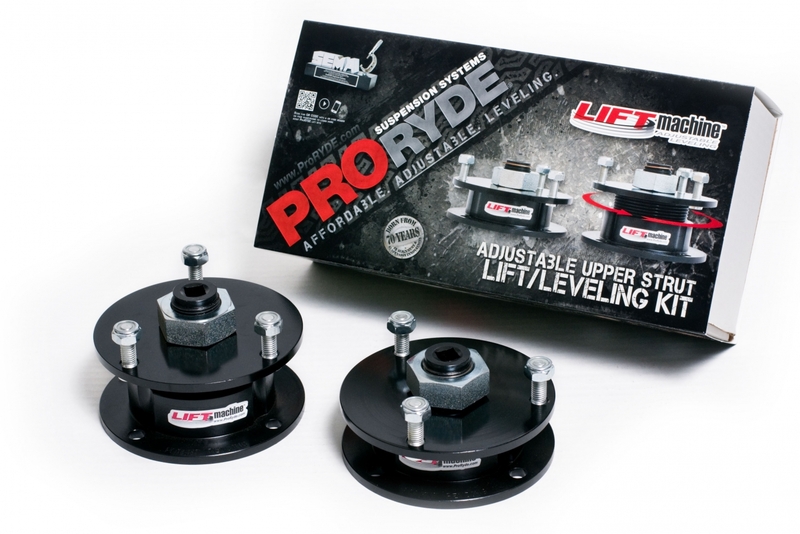 Patented ON-VEHICLE ADJUSTABLE design allows front lift options from 2.0″ to 3.0″, or anywhere in between.